Research both in Australia and internationally, has shown that mentoring both youth and adults has many benefits and contributes to the success of an individual. It is a relationship that offers support, guidance and encouragement for the personal and/or professional development of an individual. The use of a mentor may be an informal short-term agreement or a more formal long-term relationship. The mentor acts as an experienced guide or counsellor who can help an individual to build confidence, heighten motivation, increase focus and sustain goals and aspirations, increase retention in the workplace and make better decisions. Mentoring is one of the areas that the Australian Government acknowledges as vital to young people staying engaged in education and training, and achieving a Year 12 or equivalent/higher qualification. 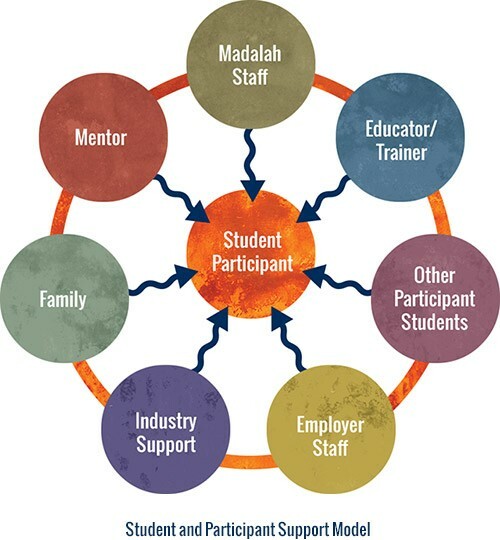 MADALAH Limited, as part of its organisational commitment, has established a mentoring program for its students and participants. Over the years, we have assisted hundreds of young Indigenous people to achieve their aspirations, both personally and professionally, through education and training. We firmly believe that the mentoring program facilitates the matching of skills, experience, knowledge and personality of a mentor with the needs and wants of students and participants. Our mentoring program allows for the development of a relationship in a safe structured environment. 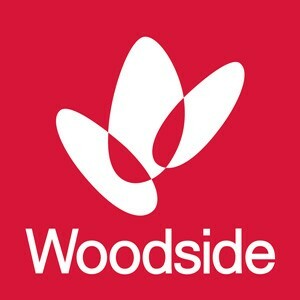 We invest time and careful consideration of several variables while matching mentors and students, including location, age and education/training plan, relating to tertiary scholarship program and those doing apprenticeships and traineeships. A dedicated mentor is an important part of the holistic model of support offered to students and participants on our programs. The diagram below illustrates the various people involved in achieving successful and sustainable outcomes for our students and participants.